This beautiful 2015 award-winning Marlow-Hunter 33 is a stunning sailing yacht. She has been well maintained and feels like new. 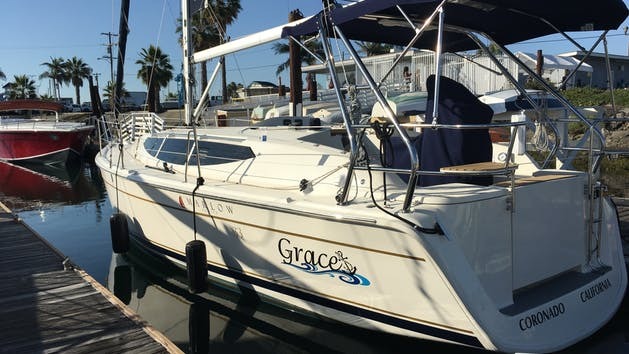 Grace has a spacious cockpit with comfortable seating for up to 8 passengers for day sailing. The custom interior comfortably sleeps 6 with a cabin in each the bow and stern. 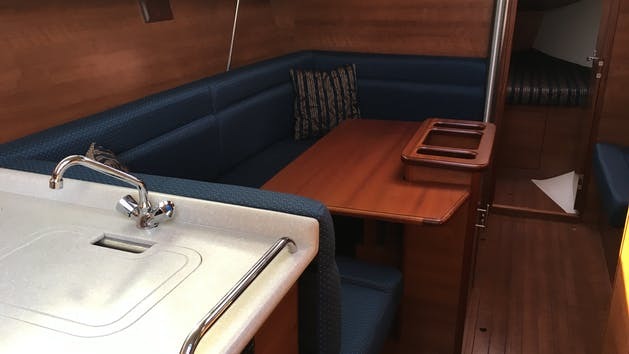 2 more berths are created by an elegant dinette that sports a Marlow-Hunter’s unique Easy Lift system making conversion to a double berth simple and easy. Sailing is made fun and sporty with a roller furling mainsail, a double ended main sheet, traveler and boom-vang. The electronics package is set up for offshore adventures with a Raymarine chartplotter, GPS and radar. One of the unique features of this vessel is a drop down transom that provides a swim platform aft while docked or at anchor. 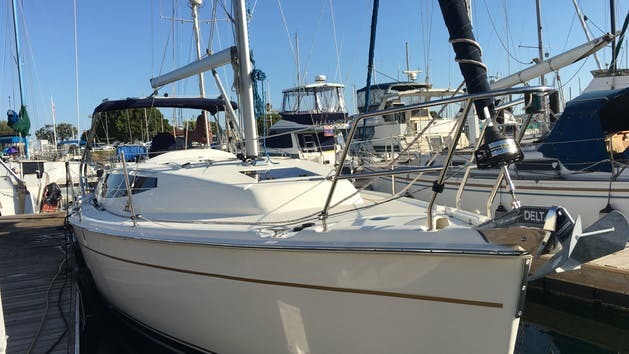 Enjoy a day on the bay or an overnight at anchor nearby on this fine sailing yacht.